No self-respecting bathroom is complete without a deep, luxurious and relaxing bath…which of course, requires an equally stylish a bath filler set. Celine once again rises to the occasion with a superb 4-piece faucet set of taps, spout and hand shower and mixer which can be deck or bath mounted. The high-end design of this set takes the elements of bathing essentials and interprets these in the sublime Celine trademark form, the sheer simplicity of which is aesthetic artistry. 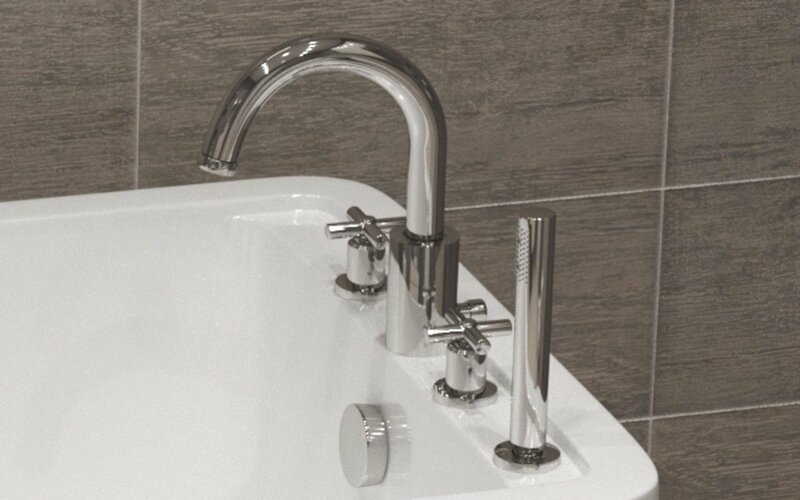 The wonderfully contemporary tubular polished chrome rendition of the old-world style cross-handled taps is echoed in the perfectly plain pillar with its wider base that houses the bath diverter and the symmetrically curved spout. 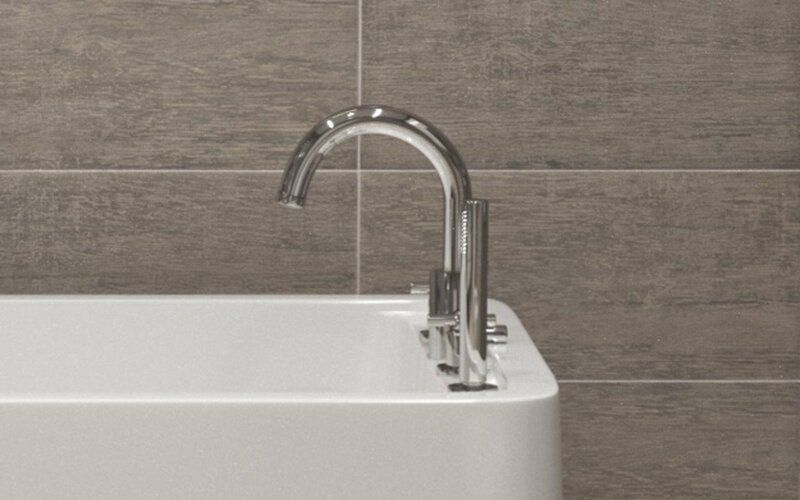 The carefully planned functionality of this set is evident in the very useful pull-out hand shower, with its pared back slimline multi-jetted head complete with the anti-lime function for longer life durability.